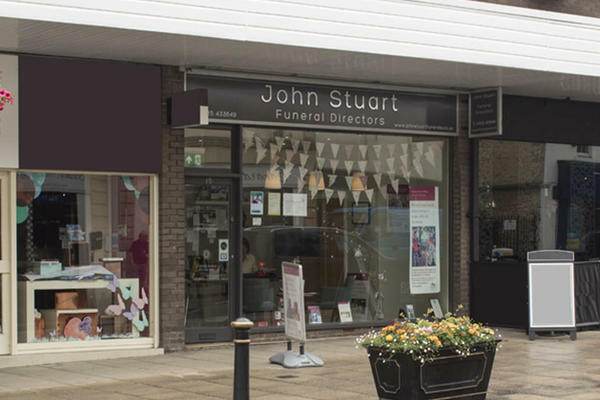 John Stuart Funeral Directors has been helping the families of Melksham organise special and unique goodbyes for their loved ones since 1988. We understand how difficult it can be when you lose a loved one, which is why we will be there for you, helping, advising and guiding you through every decision. By listening to your every need, we will organise your loved one’s funeral so it reflects the way they lived their life. You can tailor the whole day to meet your needs, from the time and location of the ceremony to the floral tributes to the music. Whatever will make the day personal for all of those who attend, we will arrange it. Mr Stuart started out as a mechanic before moving into the taxi business, where he would regularly take his clients to and from funerals. After getting an insight into the industry, Mr Stuart decided to convert his garage into a funeral directors, which is still one of our funeral homes today. We have another two John Stuart Funeral Directors in Devizes, one on Hillworth Road and the other in The Brittox. Please call us as soon as you need us, we will be there for you. Our phone lines are open 24 hours a day. Call us today on 01225 433649 to talk through your personal requirements. Please call us before your visit if you need advice on parking. Our staff are available 24 hours a day on 01225 433649 if you require our services outside of these hours. Every member of staff that we seen and spoke to at John Stewart were all very very professional and we personally felt that all went beyond their duty to make everything as easy as possible. Karen white was our first point of contact and can’t thank her enough for her kindness and huge support from start to finish in the preparation of our son Luke’s funeral. We will highly recommend your services in the future to friends and family facing similar loss as we did. Thank you 🙏 and god bless you all, you are all very special people. An excellent personal and friendly service provided by Karen. Everything went professionally and smoothly from start to finish.